Murasaki Shikibu, born in 978, was a member of Japan's Fujiwara clan, which ruled behind the scenes during the Heian Period by providing the brides and courtesans of all the emperors. Lady Murasaki's rare literary talent, particularly her skill as a poet, secured her a place in the court of Empress Akiko. After the death of her husband, she cloistered herself to study Buddhism, raise her daughter, and write the world's first novel, Genji monogatari, the tale of the shining Prince Genji. Royall Tyler (translator), an American, is retired from the Australian National University, where he taught Japanese language and literature for many years. He has a B.A. from Harvard University and a Ph.D from Columbia University and has taught at Harvard, Stanford, and the University of Wisconsin. 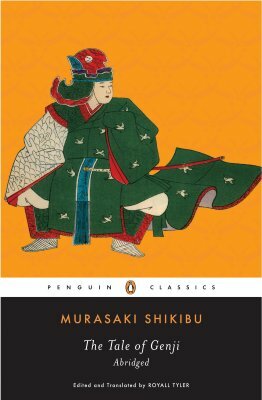 He has also translated The Tale of the Heiki and Japanese Noh Dramas for Penguin Classics.